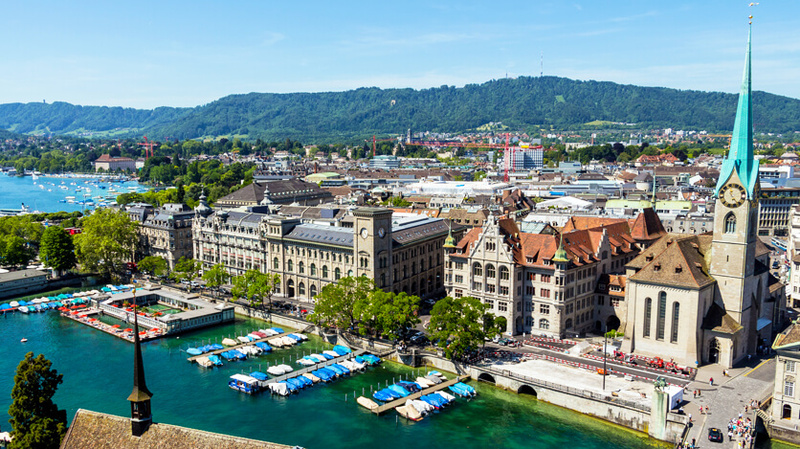 Zurich is one of the cleanest and most picturesque cities in the world. This is the city that represents the beauty of Switzerland. That’s why every year millions of people book flights to Zurich. If you are looking for cheap flights to Zurich look through Globehunters cheap Zurich flight deals. The city is not only the largest city in the country but also serves as the financial hub for Switzerland and Europe. To experience the great outdoors that entice holidaymakers to take flights to Switzerland, you must spend a day out at Zurich Lake. This is one of the most prominent attractions in the city. Apart from the refreshing ambience, people love visiting this lake to enjoy boating and fishing. The beauty of the lake is enhanced by the surrounding forests and mountains. Zurich’s main attraction for holidaymakers is the Swiss Alps, renowned the world over. While walking around this landscape, you can admire the spectacular natural beauty - The Matterhorn being the centerpiece to this. Switzerland remains one of the most sought after winter sports destinations for ski and snowboard enthusiasts. A flight to Zurich takes you to the striking Swiss Alps and some of the best skiing in the world. Once the snow has thawed you can take the train through the alpine mountains and admire this green and lush country. Zurich is home to numerous museums. Swiss National Museum is the most popular one in the city, focusing on the intriguing traditions and culture of the Swiss. Landesmuseum is another worth visiting museum in the city and is one of the largest museums in the country. Religious richness of the city can be explored in Grossmunster, an ancient Roman Church. It was built in the 12th century and since then has become an iconic landmark of Zurich. The old gothic church of Fraumunster is also famous among the religious landmarks of Europe. Art lovers browse through cheap Zurich flights especially to visit Kunthaus Zurich. This is among the most popular art galleries in the city. Take a walk through the museum to admire magnificent artworks and paintings created by well known Swiss painters. Zurich Zoo is a great place to visit with the children. Bahnhofstrasse is the place for those wanting to shop for designer brands and of course you cannot return from the market without buying Swiss Chocolates. Zurich Flights you book at Globehunters are 100% financially protected with ATOL and IATA membership along with a 3D secure online booking process, so you can call or book online with confidence.